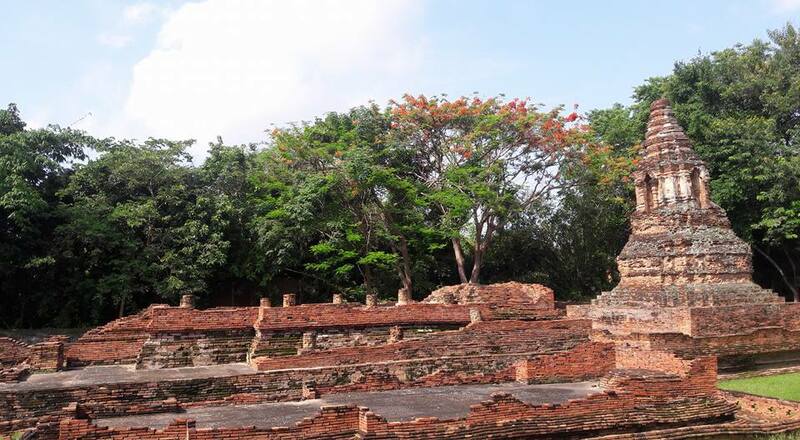 This is an easy suburban ramble, along a loop route that will take us past (and through) many of the beautiful temples and picturesque ruins of Wieng Kum Kam. It begins from a point south of where Mahidol Rd goes over the Ping river (see more exact directions below). Near the start point, we will cross the river on foot over the sluice gates into the Wieng Kum Kam area. It is all on the flat, so an easy hike. Probably about 7km walking distance, to be covered in 2-3 hours. Afterwards we may take refreshments at a riverside restaurant. 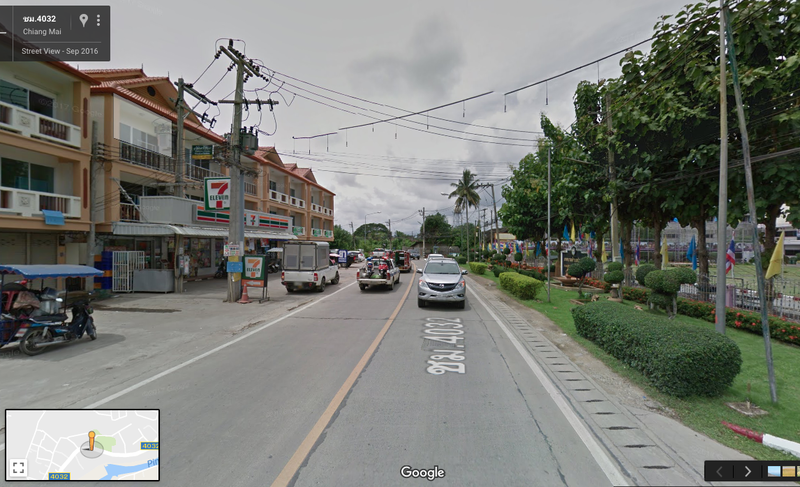 Meeting Point: Outside the 7-Eleven store which is on the 4032 riverside road, slightly over one km south of the point where this road connects with the 1141 (Mahidol Rd, sometimes known as Airport Rd) and where the 1141 crosses the Ping River. Car-owners should park at the side of the building, or behind it, in order to avoid obstructing the regular store access: there is plenty of space there. 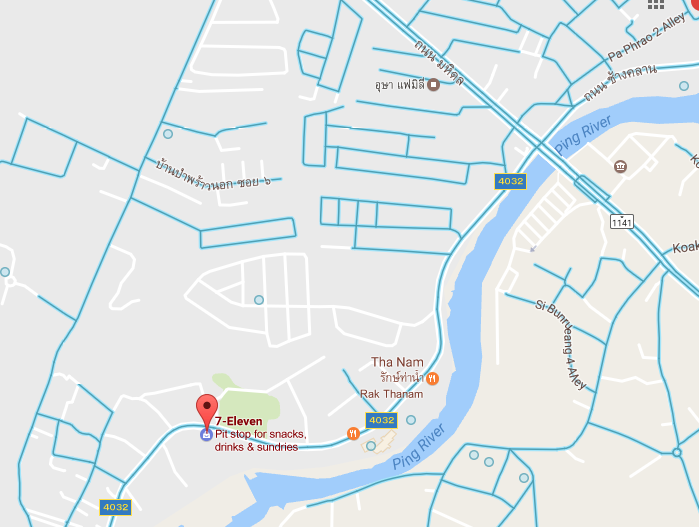 There is room for parking in front of the store, or in vacant ground at the side or behind the block where the store is. Meeting time: 8:50am. We will start walking promptly at 09am. If you want to join: Just turn up on time. There is no need to tell us you are coming. But we cannot absorb groups. Walking shoes. Trainers are okay for this hike. Boots not necessary. Fairly civilized clothing, e.g. long pants. This is not a hike in the woods. We will be around temples and in people’s neighbourhoods much of the time. Hat and sunblock may also be useful. About one litre of water, or else be ready to buy water etc at shops en route. Same thing re snacks. Team spirit, good humour as ever.